Jacqueline and Richard at the website relaunch in Scarlet. 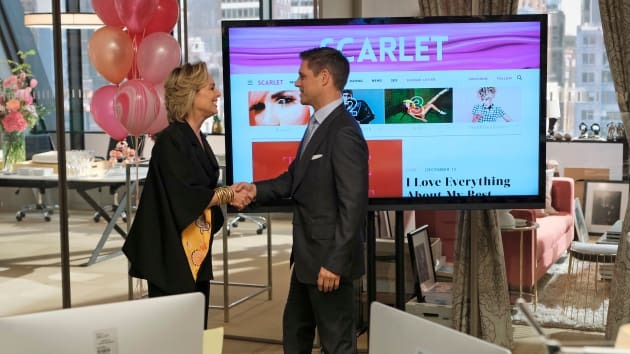 The Bold Type Season 2 Episode 9: "Trippin'"
The executive suite is nice but you guys have almond milk. Permalink: The executive suite is nice but you guys have almond milk. Another vag pic? It’s 10am. Permalink: Another vag pic? It’s 10am.